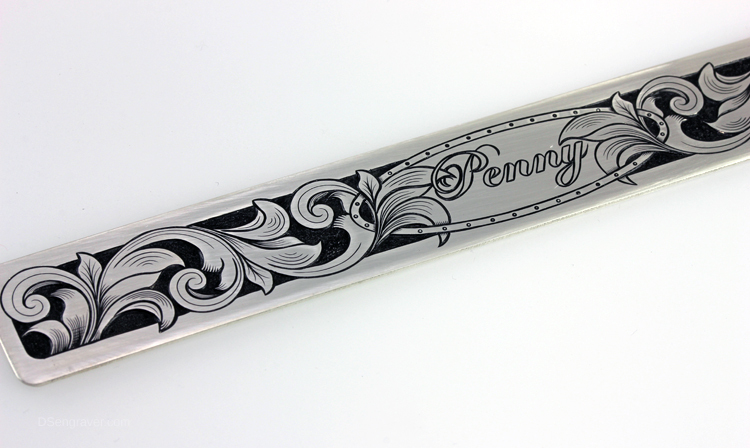 This hand engraved silver bracelet was done for a really nice man who wanted something extra special for his wife’s 70th birthday. 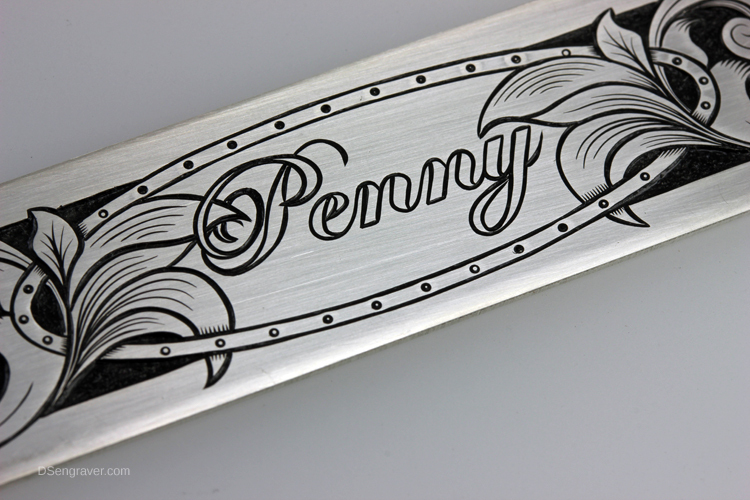 Of course her name is Penny! 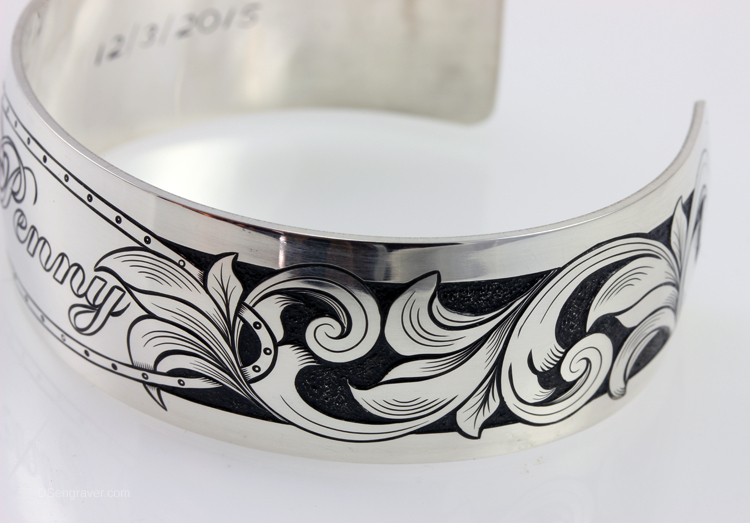 He liked the scroll-work he saw on another one of my bracelets but asked if I could add her name to the outside of the design. 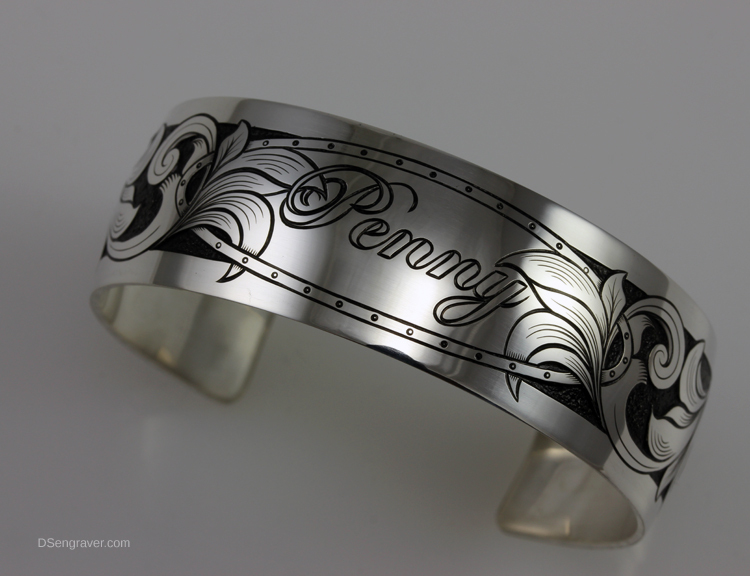 He also asked me to engrave a special message to his wife on the inside of the bracelet which is pretty interesting! 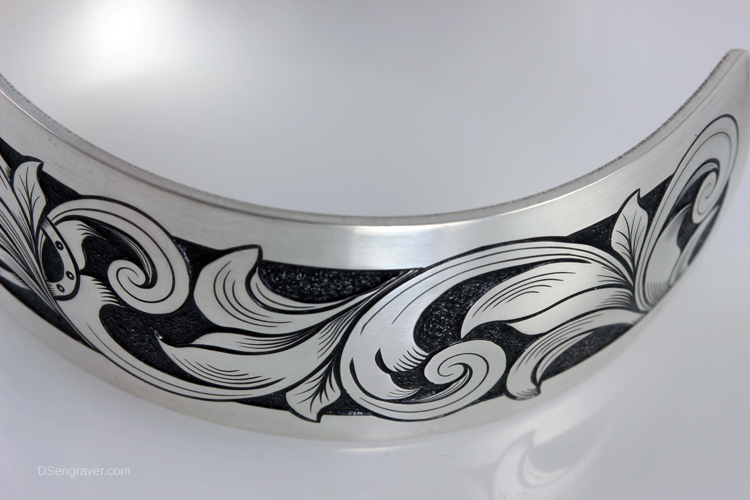 The solid black areas within the scrolls are “deep relief” and really gives the bracelet a 3 dimensional look. I like how it turned out and so did he. 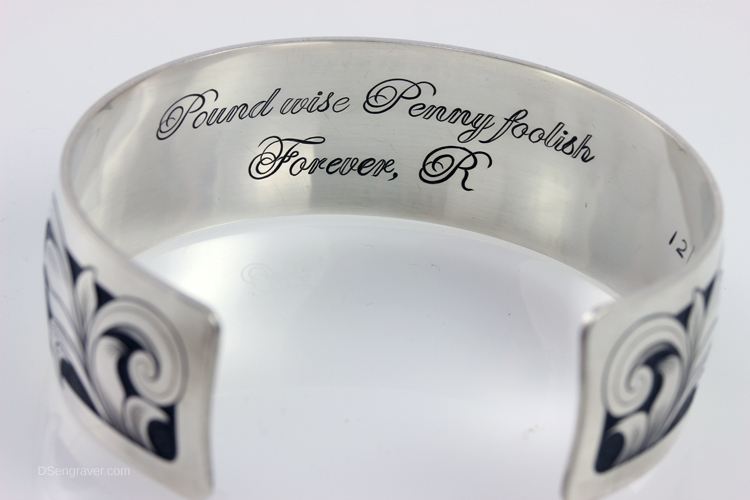 He seems sure that after his wife gets this she will be back for matching earrings and pendant!